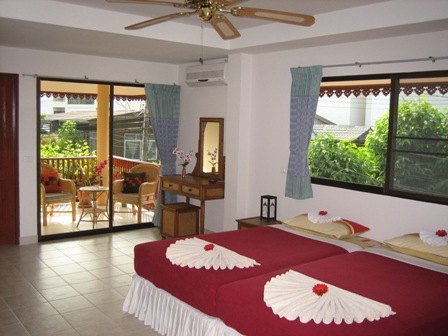 The rooms are decorated with Thai colonial furniture harmonious combined with modern luxurious facilities. The unique construction, location and decoration create a romantic atmosphere. 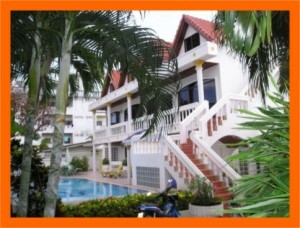 The rooms have luxury bathrooms, air-conditioning, mini-bar, fan, safe-deposit box and satellite-television. On the ground floor you will find two rooms overlooking the shady courtyard, a green oasis in the heart of the bustling town centre. 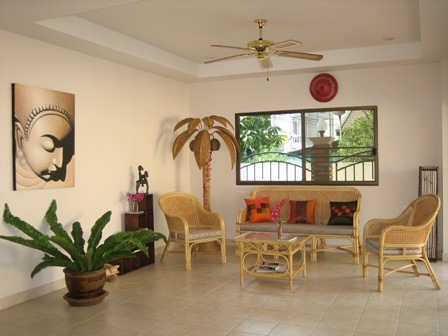 On the first floor you will find 4 rooms, of which 3 large rooms with a spacious balcony. On the second floor you will find 2 rooms, of which 1 room has a breathtaking view of the mountain Doi Suthep with the Wat Prathat Temple.